The number of awards we have received from our piers, suppliers and the public truly is testament to the quality of service and range of products we offer. Our awards reflect our ambition in offering the best experience for our customers and in the travel industry. Below are some of our most proudest and most recent wins. 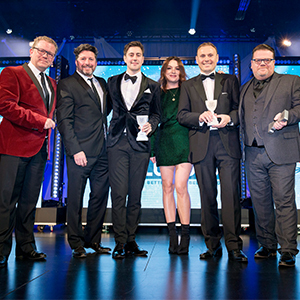 The general public voted in the British Travel Awards 2018 and Pure Destinations won 'Best Luxury Holiday Company' for small company. 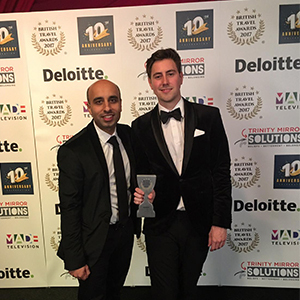 Pure Destinations in Sutton Coldfield has been named as the UK’s best luxury travel agency. 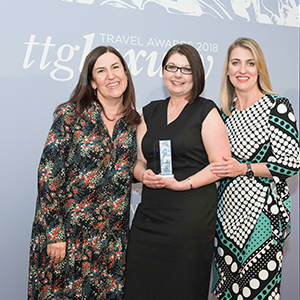 The shop picked up the award for Luxury Travel Agency of the Year (store) at the ttgluxury Travel Awards, during a glittering lunchtime event held on Friday, February 9 at Rosewood London, one of the capital’s best hotels. 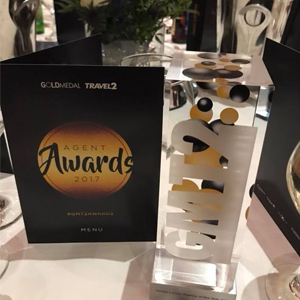 Voted by Gold Medal and Travel 2, Pure Destinations won Simply Luxury Agency of the year 2017. 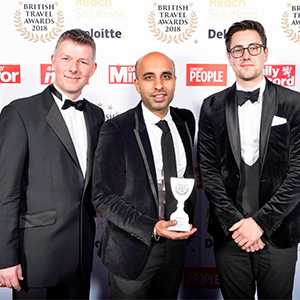 Voted for by the public, Pure Destinations won Best small luxury holiday company at the British Travel Awards 2017. Voted for by the public, Pure Destinations won Best small independent travel agency at the British Travel Awards 2017.